AUSTRALIA'S fittest man wasn't good enough for Ninja Warrior. He may have completed the course, but Adelaide CrossFit champion James Newbury never made it to air on Channel Nine's smash hit show, leaving his 25,000 Instagram fans - and his mum - fuming. Mr Newbury, who is currently in the US preparing for the CrossFit Games after finishing first at the regional championships in Wollongong in May, apparently had no idea he had been cut from the broadcast when he posted on Instagram two weeks ago. "#ninjawarriorau kicks off tomorrow night make sure you tune in!" he wrote. After failing to appear, he posted on Monday before the second episode: "@ninjawarriorau is on again tonight! Stay tuned, I mayyyy make an appearance tonight! #ninja #ninjawarriorau #will #i #wont #i"
This week, he again took to Instagram to confirm that he had in fact completed the course, posting a series of pictures from his run: "I've been getting asked a lot how far I made it through the @ninjawarriorau course. Well, here you go. Made it." Posting the photos on Facebook, Mr Newbury's mother Michelle described it as "manipulated TV", saying he made the top 18 in his heat and so should have made it through. "This is about the best we'll get," she wrote. "Editor's choice of who proceeded to semi-finals." Fans were outraged, saying he should have worn a costume, taken off his shirt or had a more interesting backstory to get a look-in. Some vowed to stop watching altogether. "Didn't have a good enough sob story," Carly Richardson wrote on Facebook. "Guess hard work doesn't get you anywhere these days ... their loss ... It's sad that the media only seem to celebrate those who have had something sad or negative attached to their success." Sarah Huxtable said: "If you're an idiot who dresses up like the Energizer Bunny or Spider-Man you get through. And the really talented miss out on spots because of that." 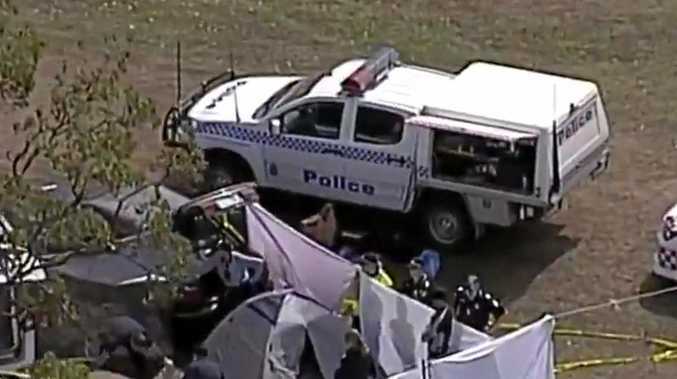 Jackie Webber described it as a "load of s***". "And they put the freaking Bachelor Tim, on doesn't even make past the first part," she wrote. "We want to watch athletes, not show ponies." George Davis called it "crap", saying he would "much rather see the people who can actually make the course than the people who fell off the first obstacle". "I see the problem," wrote Karl Houghton. "You left your shirt on. Rookie error." Shaun-dean Dunwoodie added: "Excellent, bro. Media's dirty tricks always hides the truth." On Instagram, user @cathy_crossfit said the joke was on Ninja Warrior. "Fittest man in the Pacific region, huge CrossFit following and you don't air this? #ninjawarriorisacrockofs***" User @thetoddslife added: "Should have killed off your pet rock you've had since you were three, would have got you airtime." 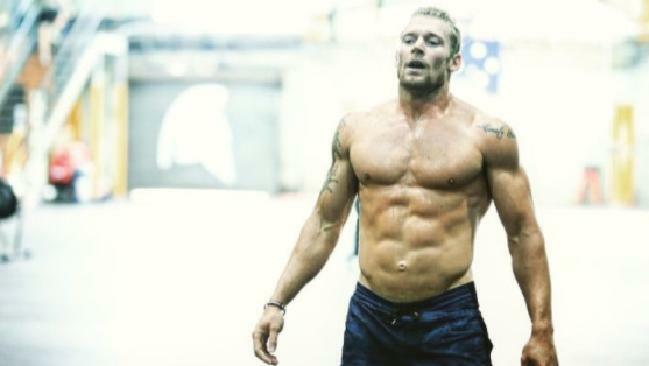 Mr Newbury, who co-owns Mode Fitness gyms in Adelaide and Brighton, got involved in CrossFit in 2011 when he moved to Sydney to play rugby league. Ninja Warriors: A behind the scenes look. He scored one of five spots to compete at the world titles in Madison, Wisconsin next month. Competitors at the world games will be scored on 10-12 events consisting of a range of strength and endurance workouts, combining movements from running and rowing to weightlifting and gymnastics. "It is bridging the gap between a strongman who can dead lift 300kg-plus to looking at a marathon runner who can run a marathon in three hours," he told The Advertiser last month. "So not only cardio fitness but having muscular fitness, being very fast off the mark to being agile, co-ordinated, flexible - all these things add up to finding the most well-rounded athlete. "Our goal is to never surpass the specialist but get very, very close." An Endemol Shine spokesperson said: "Fifty competitors take the course in each heat, and only the top 18 as determined by those who go the furthest in the fastest time go through to the semi-finals. The results are based on performance alone."